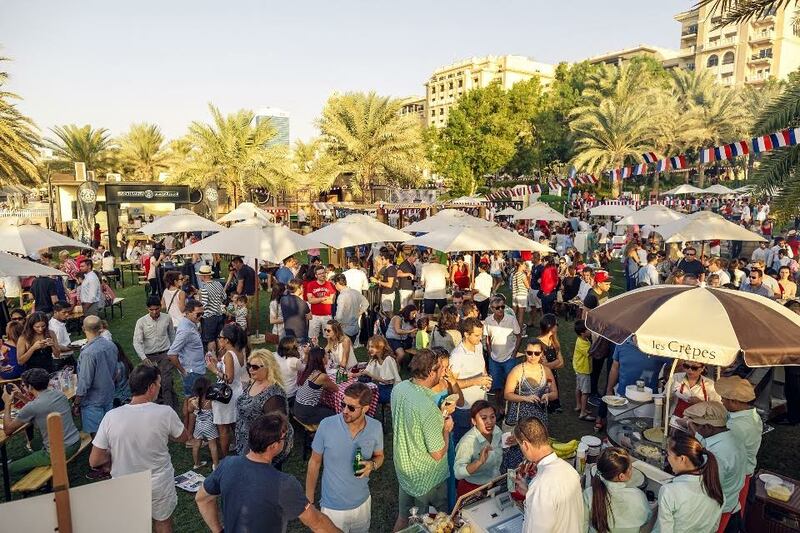 Dubai residents with a fancy for all things French will be forgiven for thinking they’ve stepped onto the cobbled streets of Paris next month when the internationally recognised Apéritif à la française event returns to Dubai. The French themed event, taking place from noon to 10pm on 19th November at the Westin Dubai Mina Seyahi Beach Resort & Marina amphitheatre and gardens, will highlight some of France’s most iconic exports with a range of gastronomic delights including gourmet cooking stations, a packed schedule of live entertainment, pétanque, or French boules as it’s more commonly known, and a series of fun challenges all encapsulating the French art de vivre. “Apéritif à la française is everything you would expect and more from an event of this name. We’re once again expecting more than 3,000 visitors to browse our expanded line-up of exhibitors and brands showcasing the crème de la crème of French exports. We’re a family event so above all else we want everyone to have fun, or as we say in France, ‘amusez-vous bien’,” said Edwina Salvatori, Account Director, SOPEXA Middle East. Visitors will be treated to foodie classics from a range of well-known French brands including mini cheese soufflés by Payson Breton, the dairy specialist from Brittany; Tautes Tatin, by France’s leading apple exporter Blue Whale; artisan jams by Lucien Georgelin; and sophisticated amuse bouche by Maille, the French mustard and vinegar experts. Delicious pastries and sweets from Dalloyau, French Bakery and La Patisserie des Reves plus TooGood, the healthy snack alternative, will be there on the day highlighting their unique product offering. A series of mouth-watering live food stations serving up French specialties including cheese platters, oysters, cold cuts and a BBQ all paired with a selection of hops and grape will also be available. Those with a taste for fun can try the Maille Blind Taste test, a Crêpe Championship or participate in the Vittel obstacle course; wannabe mixologists will be tasked with replicating a Perrier mocktail they’ve just tasted; while a challenge involving whipped cream, a whisk and a strong wrist will have participants breathing heavily – get down to the event to find out more! On top of all the foodie treats and events, there is a packed schedule of activities designed to keep guests entertained. Pétanque on the beach, live music and pampering make-up and skincare demonstrations by Yves Rocher will keep the French festivities going. A Decathlon kids corner will keep the younger French aficionados busy with sporting activities such as table tennis, soft archery, football and badminton. Organised by SOPEXA, the International Food & Lifestyle Marketing Group, and supported by the French Ministry of Agriculture, Food and Forestry, Apéritif à la Française aims to recreate the French lifestyle for international audiences while raising awareness of the diversity of French products. Launched in 2004, Apéritif à la Française takes place in five leading capitals around the world: Tokyo, Copenhagen, Montreal, Hong Kong and Dubai. Description: Family-friendly French market with food and grape tastings, live entertainment and the chance to win prizes. How much: Entry is free. Food and drink prices start from AED15. Tokens are purchased on the day and exchanged. Sopexa, the special partner of food and beverage companies and industries, has helped boost agribusiness products – both in France and abroad – for nearly 50 years, through a wide variety of promotional and awareness campaigns. A specialist in international food, wine, and lifestyle marketing, heavily involved in promoting food culture, Sopexa Group offers effective, creative marketing solutions that make food brands and products stand out from the crowd worldwide.